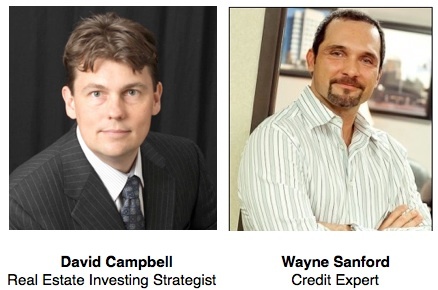 FREE Video Webinar with Real Estate Investment Strategist David Campbell and Credit Expert Wayne Sanford. 1) What is a FICO (credit) score, how is it created, and why it’s important. 3) How to build your FICO to generate real estate investing profits. If you enjoyed this video on How to Build Your FICO for Real Estate Profits please email a friend, post a link on FaceBook, or Tweet about it. It’s a simple way to say thank you for the time and effort it took to bring you this video for free.